This summer, my husband made us a PVC Pipe Xylophone for the front porch of our library. 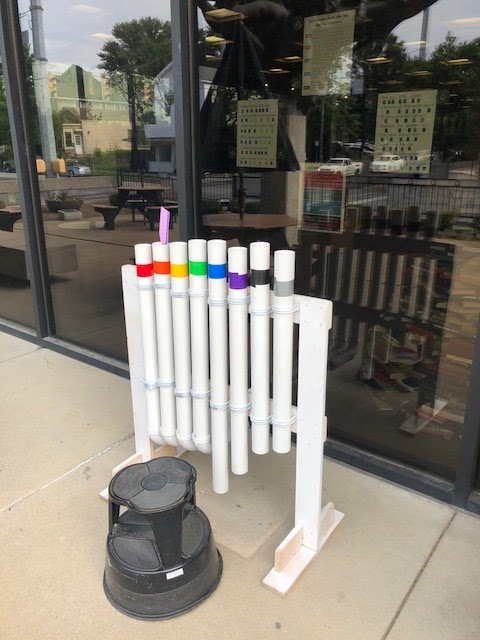 A xylophone made of PVC pipes. Here is where we found instructions to make it: How to Make a PVC Pipe Xylophone by Frugal Fun 4 Boys. We delivered it to the front porch of our library where it has lived musically since June 1 when our Summer Reading Program started. I bought a handful of flyswatters and doctored them with fun foam to make a "mallet". They didn't walk off as I thought they might, but the fun foam only lasts so long with regular use as a mallet, so I have made two replacement "mallets" so far, which is about what I expected. 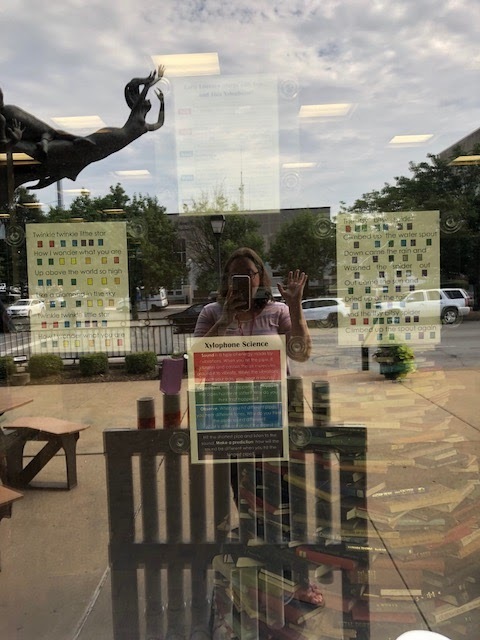 The signs are posted in our windows. The Xylophone cost about $75 for the supplies and my husband donated a day to working on it for us. If you don't have a handy partner, colleague, or friend or if you yourself are not handy, it might be worth asking your local hardware store if they know anyone who might volunteer their time and skills to build it. It's been well worth the effort to see people of all ages interacting with it, experimenting with sound and creating music!